A baker’s dozen eligible bachelors, including the new mayor of Coronado, will be auctioned for dates to benefit the Junior League of San Diego. The women’s group promoting volunteerism will stage its 10th annual Jingle Bell Bachelor Bash from 6-9 p.m. Saturday at FLUXX Nightclub in the Gaslamp Quarter. Bachelors ranging in age from 25 to 38 will be up for bid in single dates, along with two groups of three men for group dates. “One wedding has happened as a result of the Jingle Bell Bachelor Bash,” said a spokeswoman. 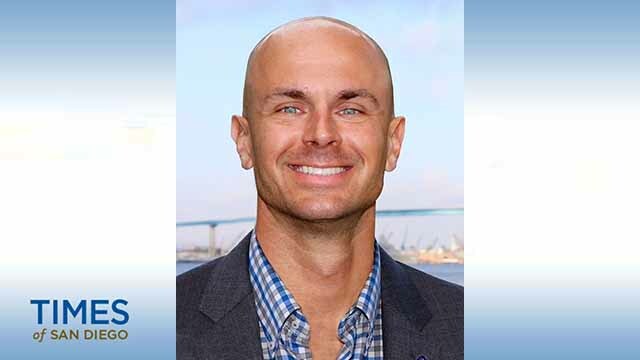 The 13th listing on a “Menu of Men” is Coronado’s Richard Bailey, a Republican councilman since 2012 who defeated Carrie Downey by 12 points in November 2016 to become the Crown City’s 51st mayor. Winner of the date will enjoy a “fun evening at K1 Speed Circuit followed by dinner at Casa Guadalajara.” The top bidder also will also receive four personal training sessions with 360 Degree Fitness. Bailey was briefly in the news last year when the city’s special counsel, Helen Holmes Peak, said Bailey illegally accepted campaign donations — by credit card instead of by check as stipulated by municipal code. Brandon Kacher, 33, a vice president at Marsh USA Inc.
Alejandro Cota, 28, a senior financial analyst in the pharmaceutical industry. Matt Previdi, 33, a manager at the Rancho Santa Fe Tennis Club. Frank Mercado, 36, a fellow at the UCSD Cancer Center. Andrew Keene, 38, CEO and founder of his own company. Joe White, 32, CEO of OnDeck Digital. Chris Stoddard, 35, a U.S Marine Corps pilot who volunteering for The Collective Access. Puya Hosseini, 36, an anesthesiologist from Santa Rosa who volunteers with Rotaplast. Derek Meadows, 28, a co-founder of Pure Wine and former competitive gymnast. Jack Harris, 25, a U.S. Navy helicopter pilot. And Sean Kinahan, 35, an engineer for Pacira Pharmaceuticals Inc. The Junior League says money raised will benefit programs that provide leadership opportunities for local women and support transition-age foster youth. 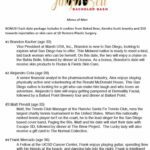 “For 10 years, this party for a cause has supported charitable causes across San Diego,” said a news release.